2 doors access management. 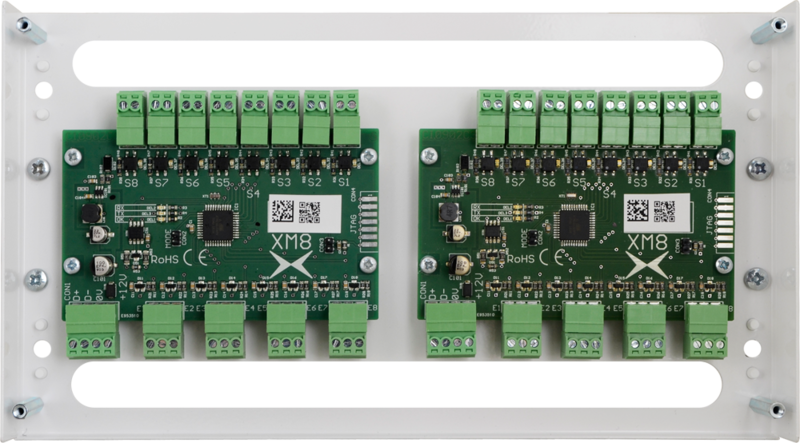 The XM200N comes without any power supply. It can be attached to DIN rails by the included fasteners. 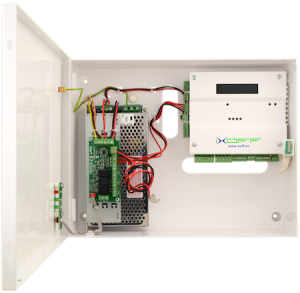 The XM200V3 controller allows you to manage your locking systems by using the integrated power supply. 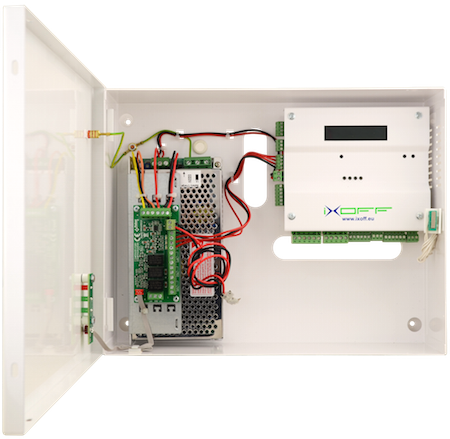 Its wide case also has a space for an extra backup battery, as well as a security contactor when opening the box. 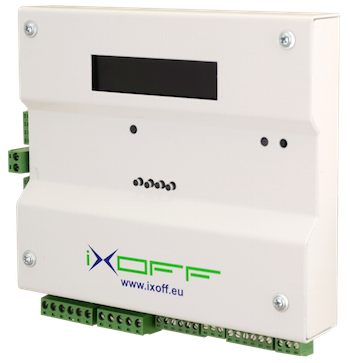 Same specifications than the XM200M controller, but with a metal case including a 12V/6A power supply. 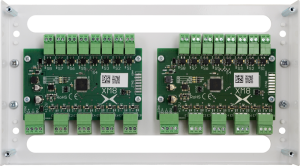 The XM216 module includes 2 8 inputs / 8 outputs extension cards. It is generally used in elevators to manage access to the different floors.